seems to be solid, can hide easily behind the aquarium. Our fish tank was green and ugly, but after using this product the water became crystal clear. Recommended!! No wite dots whats so ever on my Paracanthurus hepatus! Really good for very good price! 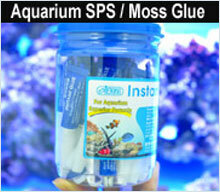 I use it after my Resun CY20 filter and it works great for my marine tank!